Detailed below provide the Manchester Pearson Professional Theory Test Centre contact address details, services offered and advice for booking and taking your theory test. Train stations are often a short walk from most theory test centres. Station telephone number: -. From the station, Manchester Theory Test Centre is 0.2 miles, or a 5 minute walk. Arriving by car: On-street car parking can be made on Blind Lane, just a few minutes walk to the theory test centre. Booking a theory test at any UK test centre, including Manchester is easily completed by one of the two methods detailed below. All you’ll need is information from your provisional driving licence. During the booking process, ensure you mention if you have any reading or hearing difficulties as help is available. The Driving and Vehicle Standards Agency (DVSA) deal with the management of all test bookings, whilst Pearson Professional operate and conduct the theory tests. Contact details of both organisations can be obtained from the booking sections found below. Telephone theory test bookings are made via an automated service. By listening to the options, a DVSA member of staff can be reached should you have any questions. To book a theory test in Manchester, see the book a driving theory test section for telephone details. Due to vacant theory test slots being displayed online, internet theory test booking is a popular option. To book your theory test in Manchester, see the book a driving theory test section for all DVSA theory test booking information. If you are unable to attend your theory test in Manchester, you may either reschedule or cancel the test. You may only reschedule the theory test to a suitable time and date or cancel it to receive a full refund if you allow for three working days notice. Saturdays are included as a working day. The DVSA now send e-mails not letters to confirm your theory test booking. Check you provide the correct e-mail address so that you receive confirmation on the date, time, address and reference number of your theory test. If you have not received an e-mail, check your junk folder. Although not essential to take to the theory test centre, it’s advisable to print this e-mail to show to the centre staff if any problems arise. The majority of theory test centres have strict allocated time slots for each candidate. Due to this, late arrivals may be refused entry to the test resulting in a loss of fee. Arrive in good time and also ensure you take along your photocard provisional licence – the paper counterpart is no longer required. Without your licence, the test centre manager may not let you take the test. If you retain the old style licence, a valid UK passport must be taken with your driving licence to provide adequate forms of identification. If you have misplaced your licence, contact the DVLA who will send you a replacement. See the learning to drive section for information on obtaining a new licence. Reviews provide an excellent indication of what to expect from a product or service. 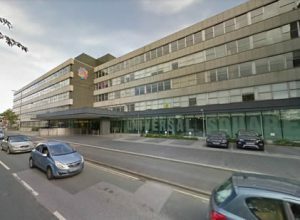 Write a short review of Manchester Theory Test Centre so that others have an idea of how easy it was to find the test centre, were the test centre staff professional and polite, how were the test candidate facilities? That’s just an example, but of course don’t forget to tell us if you passed. Reviews are quick and simple, no sign up and only your nickname will be displayed. To ensure your review meets our guidelines, please read our Terms and Conditions prior to submission.